In the winter you tend to neglect sunglasses, which you tend to forget about them until the spring. Well, you better not. Ultraviolet radiation, so harmful to the eye, is reflected in 85% of the snow. These rays can cause corneal burns even in winter. In the winter, the sun is no less dangerous than the summer, experts say. In the cold season, the body is covered with clothes, but the eyes remain exposed to sunlight, with the danger of conjunctivitis and even corneal lesions. Fallen snow reflects 80-85% of the UV rays, a proportion that increases with altitude (that is why the “mountain sun” burns louder than the “sea”). Also, the very cold weather, with low temperatures, can lead to freezing of the tear secretions, while the strong and dry wind causes the evaporation of the tear secretions and the feeling of dry eyes. Children need protection as well! Let’s not forget the children! In them, the eye structures are still incompletely developed, and the damage to the lens (the lens inside the eye) is cumulative. This will later lead to cataract, a phenomenon that begins as early as childhood, unfortunately. These can lead to more serious illnesses. Because the eyes are not protected, macular degeneration, cataracts and photocheratis may occur. Dangerous is not only the direct sunlight, but also the radiation reflected by snow and ice. Moreover, the higher you are, the more exposed to solar radiation, which means you have nothing to look for on the slopes without polarized lenses. Also, winter-sunglasses do not only protect you from UV rays, but also from the strong wind that over-drying your eyes, causing you to feel irritated. And your beauty is protected by sunglasses during the winter, that’s because we relax our face and wrinkles do not have the necessary conditions to form. The color of the lenses also counts. Gray lenses reduce the intensity of light without affecting contrast, while brown lenses accentuate the contrast and are ideal for winter sports. 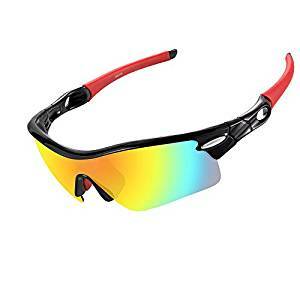 If you need a pair of sunglasses for driving in the winter, those with yellow lenses are perfect for you.